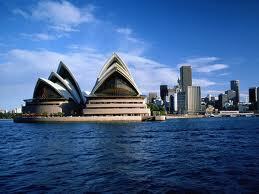 Recently I went to Australia and visited few major cities such as Sydney, Melbourne and Brisbane. The property market there is quite stable or in peak market. I bought an Australia property magazine 'API' and find out the current property market trend there. One of the key findings is Australia is a immigrant country, with more Asian (Chinese & Indian) moving to this country. There are more people moving to this country for oversea studies or working holidays. The demand of the property there is quite stable, with supply is catching very fast. In Melbourne, there are more high rise properties are being build to meet the demand of the market. Currently the weekly rental of a one bedroom units of high rise in Melbourne is around $A300 while two bedroom units is around $A450. The median price of Melbourne property is about $A400K. It comes to the average yield of 4% to 5%. While the mortgage interest rate stays at around 7%, it is unwise to borrow too much debts to invest in the property market. However, we can invest in another way to achieve a positive cash flow. 1. Renovate and Sell - Most of the savvy investors do some researches on the suburb market and buy the property at relatively low price and renovate it with little cost and rent it out at market price. It can create a better cash flow in long run. and rent it out to the tenants. 3. High Rise Apartments - This applies only to the CBD area in major cities or attractions. Most of the people are banking on the projected growth of population in the cities and hope to achieve a better rental returns while enjoy capital appreciation of the land in major cities. 4. Commercial Properties - Theoretically commercial properties enjoy better capital appreciations and higher rental yields in major cities. However, it requires higher capital outflow. In conclusion, we think that Australia is a good country to invest in given the strong currency, better education opportunities and investor friendly. However, a more detailed homework has to be done before we make any decision on investing.